The Bourbon Coffee Shop project contract for Mise Designs was to develop the restaurant kitchen design, layout and supply all major foodservice equipment for two separate projects. The first Bourbon Coffee Shop project was located in downtown New York City and the second in Boston, MA. These expansion concepts were developed as franchise models which would now include all in house food and bakery operations, in contrast to their start-up location which outsourced all food items for resale. Mise Designs worked together with 2Ki Architects to develop brand specifications for design, equipment and food preparation models to be used in all future sites developed by corporate ownership and franchisees. The main focus of these Bourbon Coffee Shop projects was to establish key operational areas that can be easily replicated with all new potential franchisees. 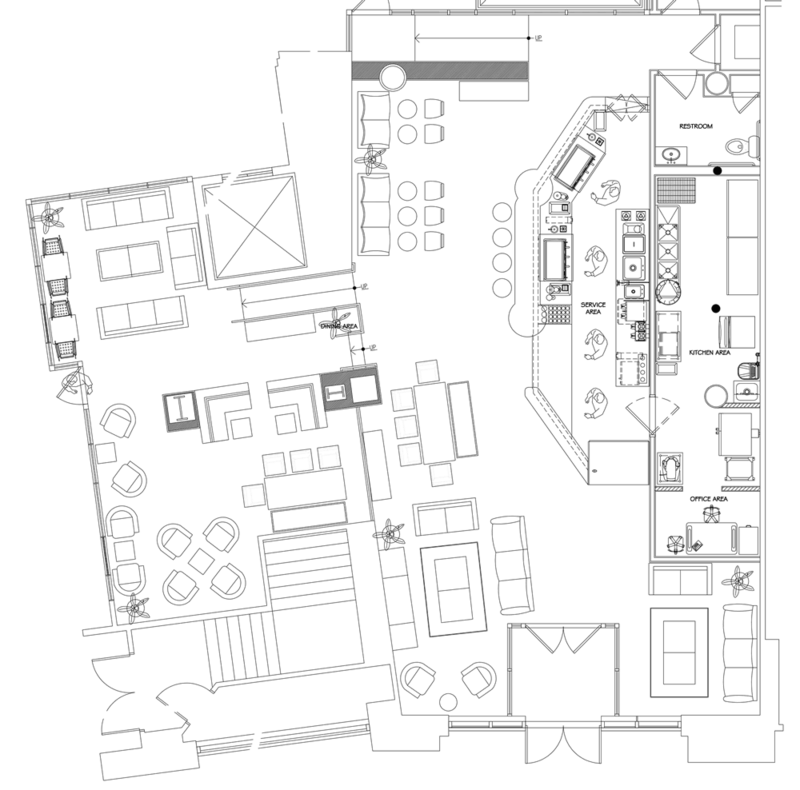 This approach separated the production areas into foodservice and coffee shop service so each aspect could be easily reconfigured with the basic requirements in any new location regardless of the floor plan of the future properties. Click Here to learn more regarding the restaurant kitchen design services we provided for the Bourbon Coffee Shop Project.